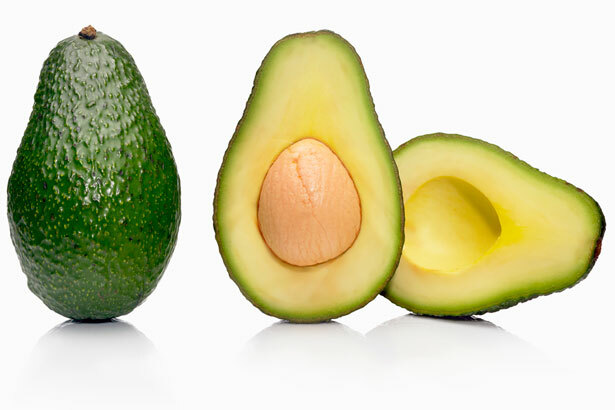 Widely touted as a go-to snack by wellness experts, avocados are high in folic acid, fiber, potassium, vitamin E, B-vitamins and healthy fats, while being low in calories and naturally sodium- and cholesterol-free. While there has been endless hype over avocado toast, why not go for something more unique and try your hand at incorporating the nutrient-dense fruit via one of these sweet avocado-infused recipes? Soak the nuts and seeds overnight. Drain nuts and use a food processor to combine with other ingredients until sticky, but still slightly crumbly, and press into a greased pan. You can use a full-sized pie tin or several small ramekins. Blend filling and pour into crust shell. Put in the freezer for about 10-30 minutes to set. Halve the avocados and crush them; put everything in the blender and mix until smooth. Place in a plastic container and freeze for 12 hours. You can garnish with toasted shaved coconut if desired. Bring to a boil the water and the sugar, add the rum, the pineapple and bring back to the boiling point. Remove from stove-top and let it cool down before placing it in the fridge for one hour.